Discover how to use Crème Brulee, to create different moods in your bedroom. 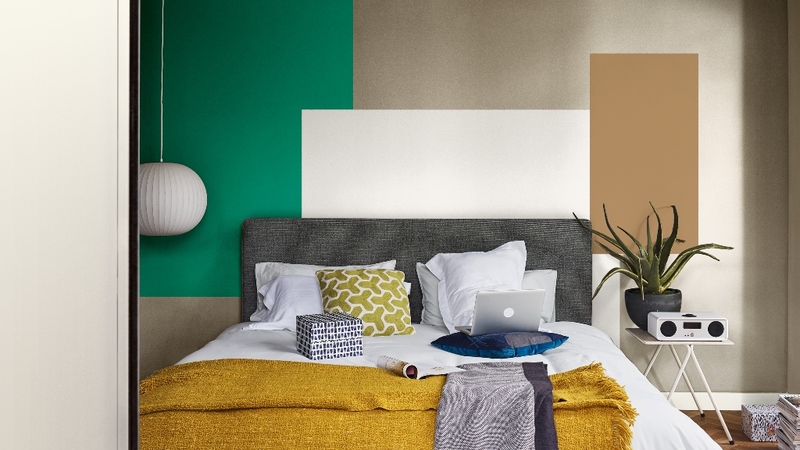 Are you ready to rejuvenate your bedroom? This room is taking on an ever more important role in modern lifestyles. In a hectic world, bedrooms have become the ultimate retreat, a place to rest, relax and recharge. 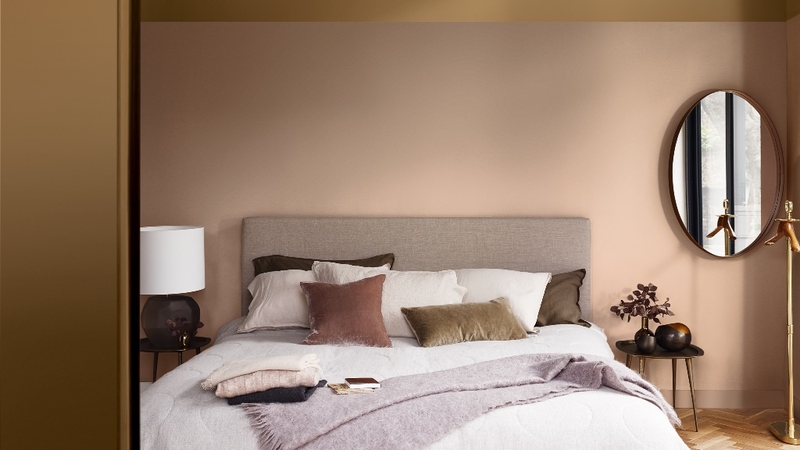 To give your bedroom the attention it deserves, try a makeover using one of the four Dulux Colour of the Year 2019 palettes, all built around the versatile Creme Brulee shade – which one will suit your style? In this subtly sophisticated room, soft pink is mixed with earthy neutrals and warmed by the golden tones of Creme Brulee – giving the palette a chic feel. The room is accessorized with tactile velvets and polished woods to create a look of low-key luxury. This deeply tranquil room is all about creating a space to pause and enjoy the moment. Try this palette of delicate pinks, soft greys and fresh whites, given substance by touches of Creme Brulee. Layer on pale woods and the softest knitted throws for a bedroom that is simple and serene. 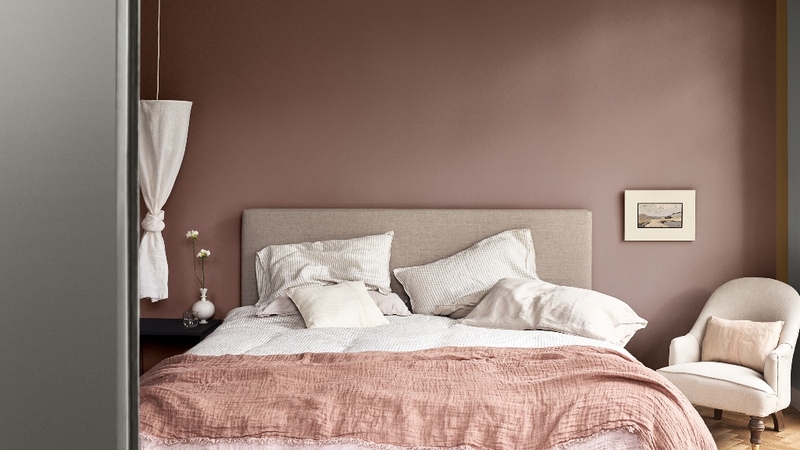 If you want to be surrounded by an intensely warm and welcoming atmosphere in the bedroom, then try this pigment-rich palette that mixes terracotta red with deep forest green and touches of vibrant blue. Add simple wooden furniture and richly patterned fabrics to complete this inspiring and nurturing mood. For a playful and fun bedroom look that will have you feeling revitalized every morning, this is the palette to try. Bright shades like emerald green are mixed with crisp whites and grounded by Creme Brulee. Colour is used in bold abstract blocks to create a fresh and edgy mood that is emphasized by vibrant textiles and cool modern furniture.